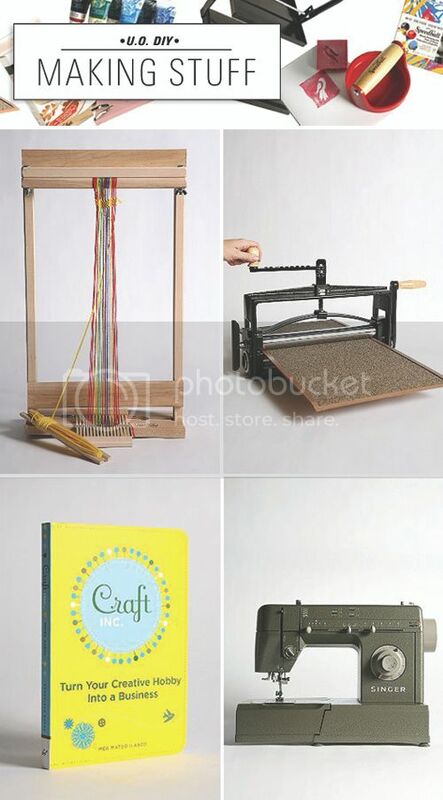 i'm a fan of urban outfitters .. i really like their housewares ;) but i'm glad they're supporting diy: they now have a whole section of super cool tools to make your own goods: for things in printmaking, sewing, photograpy. be sure to check it out. Oh waw a Singer sewing machine! i had no idea! how fun! Yay! its nice that they are supporting DIYers. Oh this is great! I never knew they had stuff like this! just checked it out. Looks awesome! Definitely want to get a few DIY kits! I saw this earlier! I love them too. I miss urban so much! That is so great they have these items. Craft, Inc. by Meg MAteo Ilasco was my handbook to starting Pop + Shorty. I recommend it to anyone looking to get into the DIY/Crafting world. It's an easy and fun read with interview with other crafters, links to important information, and other crafty goodness! Thanks for the link I never knew Urban Outfitters have their own DYI.